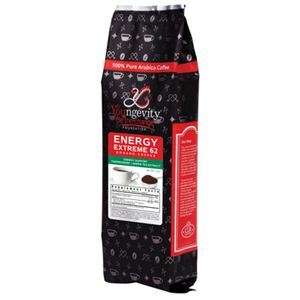 Our Energy Extreme 62 contains a blend of gourmet coffee with four clinically-tested nutrients: garcinia cambogia with HCA or hydroxycitric acid, green tea extract with EGCG, an extra boost of caffeine (62 mg per serving) and niacin. Our proprietary blend promotes a healthy metabolism, increased fat oxidation and enhanced exercise performance. Youngevity’s Be The Change Coffee is grown and harvested at our very own plantation in the high-mountainous region of the Nicaraguan rainforest. It is grown under the strictest standards ensuring the best 100% Pure Arabica, Rainforest Alliance Certified™, Fair Trade Certified™, and environmentally-friendly coffee is produced. The profits generated from each Be the Change Coffee purchase are donated in their entirety to the Be the Change Foundation and help support the wonderful causes near and dear to Youngevity which include the American Red Cross, Make-A-Wish® Foundation, My Story Matters and Caterina’s Club. For more information on the Be The Change Foundation, please visit: youngevitybethechange.org.